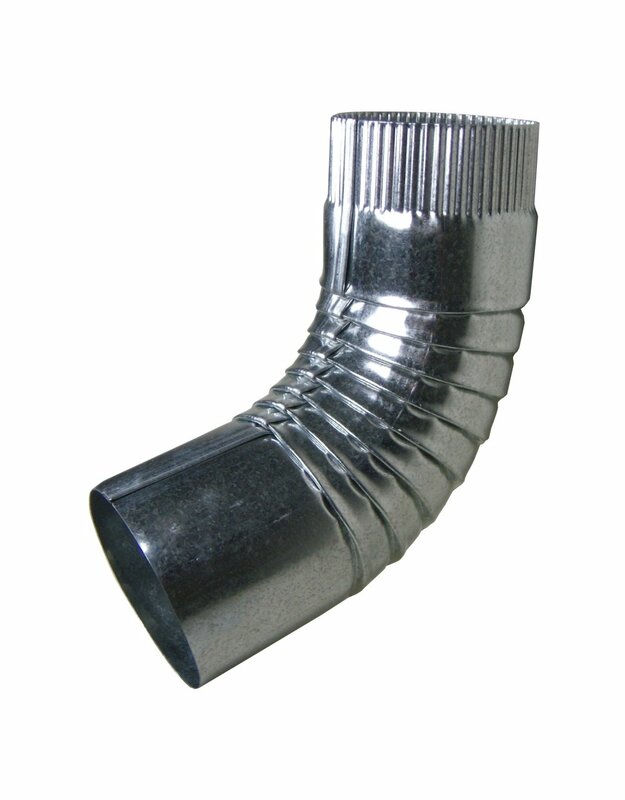 Galvanized Elbows are fittings that attach to the downspout. One end of the gutter elbow is crimped so that it can fit inside another elbow or downspout. 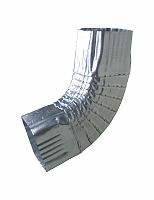 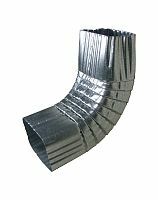 Galvanized Elbows are used at the bottom of the downspout at ground level to direct drainage in a particular direction. 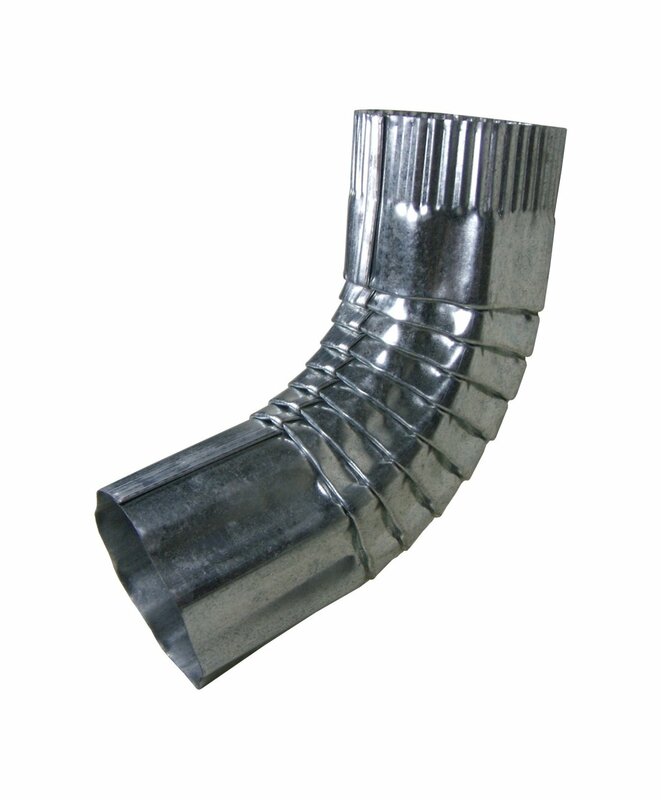 Two elbows are also used coming off the gutter to bring the downspout towards the house.